When you watch the new video from 2019 White Bluebell creation, made at my favourite hide out in the stunning English Lake District, you will hear the true magic behind this flower and her story. Who am I to mess with nature? I fully intended to be creating the usual Bluebell elixir. However nature had a different plan this year and it’s certainly not up to me to change that. 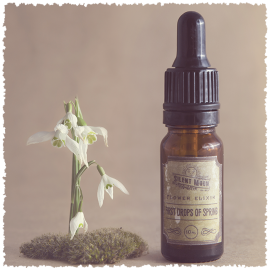 White Bluebell has further healing benefits. White intensifies any colour so be aware that the 2019 elixir is more potent than ever before. Have you been listening and honouring the synchronicities nature is showing you? Nature is asking you kindly but firmly to listen. Open your eyes and gaze into the light beyond the veil, look and stare. See the movements all around you, the elements are creating shapes and experiences. What is your knowing? What are you flowing? 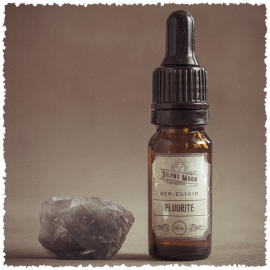 Moon enhanced pure water, alcohol as a preservative, energies of white bluebell flowers. Made by MoonLite with love from the elemental kingdom. I have recently bought two elixirs from Silent Moon. One of which was Bluebell which I chose ‘at random’. I didn’t anticipate how quickly I would feel an effect but after two days in, my Bluebell affirmation was certainly ringing true. 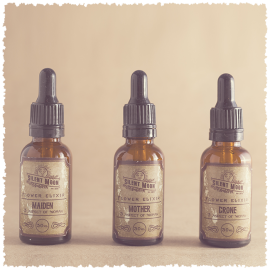 The clarity from the elixir was direct, not easy at first, but then that was part of the effect and what I wanted to gain from it. I felt a strong sense of clearing the superfluous to make way for a calmer more centred sense of being. Gentle and kind. For me, what it showed was that I was ready for a big release – and Bluebell was exactly the catalyst I needed to make that happen. 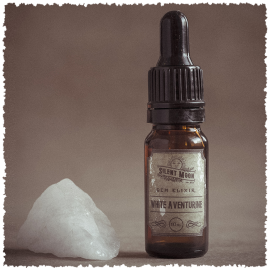 I kept a diary of the 2 weeks in which I took this elixir and it really shows how powerful this remedy is. So much was revealed to me in those 2 weeks of Bluebell wisdom. 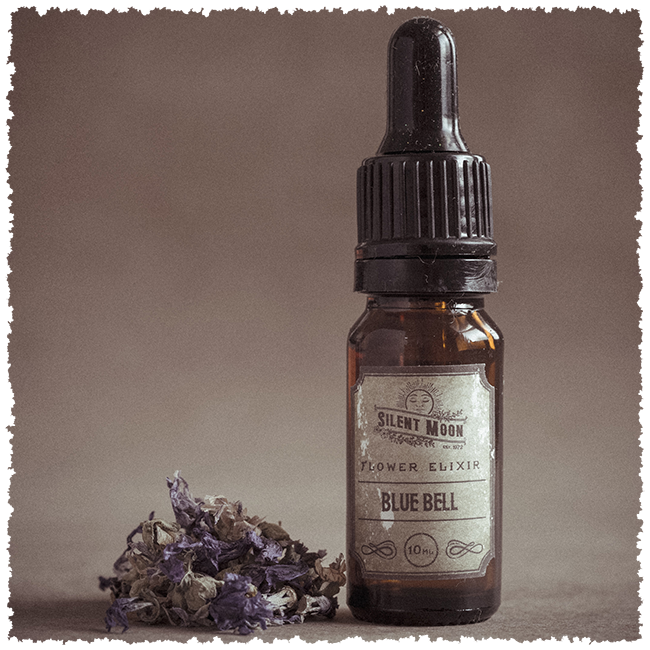 It was all very personal to me and not really of general interest, except to say that, if you are drawn to Silent Moon’s bluebell elixir, make no mistake: she is direct, powerful and wise! The exact nature of my shadow issues were made very clear to me, and where forgiveness was needed. My love for Gaia deepened, and I learned not to underestimate what is possible when the power of the moon and the magic of flowers are brought together in the hands of a gifted alchemist such as Indra. Thank you Indra! As an Eternal Light healer I am used to working with subtle yet very powerful energies. I really should have known better. The fact that the energy is subtle by nature can sometimes suggest – to our conditioned minds – that they lack a certain va va voom! So, I just want it on record – there is no shortage va va voom here! 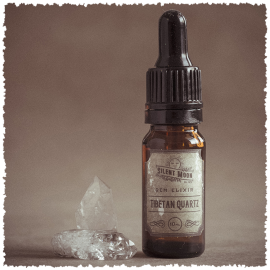 Make no mistake, Silent moon elixirs are powerful healing remedies. I started taking this elixir a few weeks ago. I have been going trough many stressful situations in my life and this has somehow made me to feel as if there is a light at the end of the tunnel. I am so much happier within myself. It doesn’t hurt either that I have always been in touch with my fairy side! Indra’s scopes are enchanting and meaningful. She has helped me to find my true inner self. I also loved the special gift she sent of bath salts that soothes me at the end of a long hard day. Thank you Indra! You are a blessing!